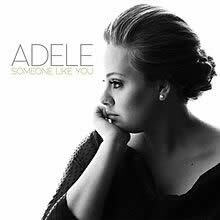 Someone Like You was written by Adele Atkins & Dan Wilson. Old friend___ why are you so shy? Adele is an internationally acclaimed singer songwriter. Someone Like You was Adele's first Number 1 single in the UK, and second Number 1 single in the US... first female in the Billboard Hot 100 to have two number 1 singles from the same album. She began singing at an early age, and grew up in the 'Spice Girl' Era. She loved the popular Girl Band and impersonated various members during her teens. Adele attended a school for performing arts where her obvious talents were nurtured and honed. As well as singing, she plays a number of musical instruments including guitar, piano, bass, celesta, percussion, and keyboard. In 2006 one of her friends posted her demo on 'My Space' and subsequently Adele was offered her first recording contract. In 2008 her first album was released titled '19'. The album was hugely successful attaining double platinum in the US and four times platinum in the UK. 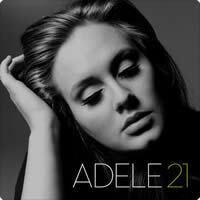 2011 saw the release of Adele's second album titled '21'. She won six Grammys for this album and surpassed the success of her first album. It was enormously successful, and gaining her many records, such as the first female singer to have three singles in the top ten on Billboard at the same time. She was the first living singer to have two top five hits in both the singles and album charts simultaneously since the Beatles. This album went to number 1 in 26 countries worldwide and her outstanding record achievements continued. This album was thought to have been based on the experience gained from the break-up of her relationship. Adele toured extensively to promote this album, however she was forced to cancel part of the tour due to problems associated with her voice. She had surgery to rectify the problem and was back singing at the Grammy Awards in 2011. In December of that same year Adele announced she would be taking a break prior to beginning work on her next album. "Someone Like You" chords and lyrics are provided for educational purposes and personal use only.